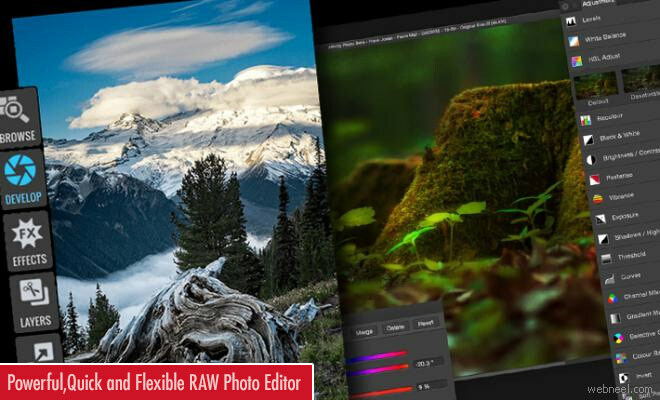 ON1 Inc has announced the availability of ON1 Photo Raw for Immediate download. The photo editor has been made with modern code optimized for today's super-mega-pixel cameras and high performance computer graphics systems. This could be very well called as the world's Quickest, most flexible, and easy-to-use raw processor and photo editor on the market.It is tuned today's sensor and graphic chips. 50-megapixel images are opened by ON1 in fraction of second on a standard PC or Mac and performs edits in real time, without slider lag or frustrating waits for redraw. It helps photographers to integrate seamlessly as a plug-in for Adobe, Lightroom and Photoshop. ON1 also works as a standalone host app for google nik collection and other photo editors: or as an extension to apple photos. Common file formats—including JPEG, TIF, PSD, PSB, PND, and DNG—are supported and benefit from the speed and performance of the app.